When my friend Shawn told me about the project he was working on a few months ago, I was immediately excited by its potential and premise. The Sweet Setup, launched today, wants to recommend the best apps for iOS and OS X. Not the newest ones – the best ones. The Sweet Setup exists because I wanted a site that highlights the software that has proven to be the best, not necessarily the newest. Here we will be recommending only the apps which are proven to be the best rather than new (I already write plenty about what’s new and cool over at shawnblanc.net and Tools & Toys). Additionally, by focusing on only the best, it means all the content on our site is relevant all the time. I didn’t want to post our articles in a reverse-chronological order that, by nature, would cause still-helpful reviews to be pushed out of view once new reviews get published. I think that Shawn had the perfect idea at the right time. With over a million apps now available on the App Store, people need a “Wirecutter for apps” with recommendations thoroughly researched and written by people who test and use apps every day. The Sweet Setup looks great, the initial line-up of recommendations is solid, and more will come in the next few weeks. I'm honored to be part of Shawn's new project from the start, too: what's the best Markdown writing app for the iPhone? Here's my answer. 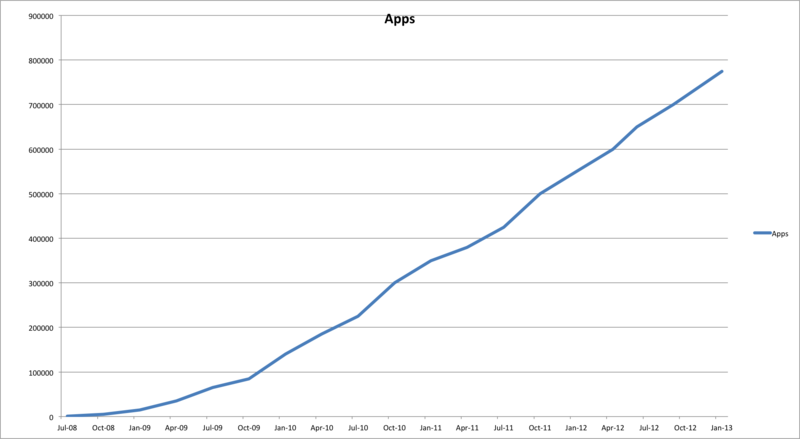 With a press release published today, Apple announced the App Store has reached 40 billion unique App Store downloads (excluding re-downloads and updates), with almost 20 billion of them happened in 2012. 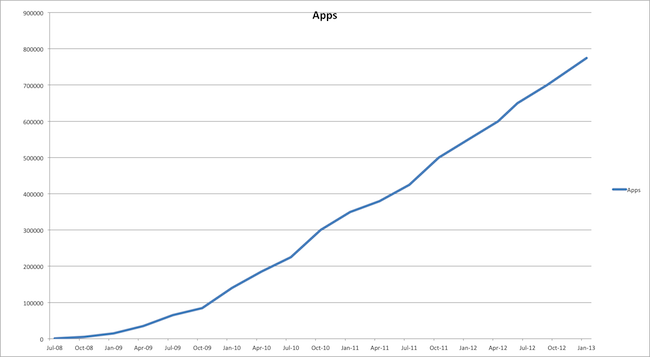 Apple says the App Store has now 500 million accounts, with 2 billion downloads happened during December 2012. The App Store has also reached the number of 775,000 apps available for iPhone, iPad, and iPod touch, with seven billion dollars paid to developers so far. It has been an incredible year for the iOS developer community,” said Eddy Cue, Apple’s senior vice president of Internet Software and Services. “Developers have made over seven billion dollars on the App Store, and we continue to invest in providing them with the best ecosystem so they can create the most innovative apps in the world. The press release includes additional facts, numbers, and quotes from third-party iOS developers who were successful in 2012. For instance, Temple Run, a game developed by "husband and wife team" at Imangi Studios, saw over 75 million downloads; development studios Backflip and Supercell "brought in over $100 million combined" for freemium games DragonVale and Cash of Clans; and Autodesk is now offering 20 apps to iOS users, with over 50 million downloads thanks to the App Store. You can read all the third-party experiences and numbers in Apple's press release here. In the press release, Apple also stressed the importance of the tools they make available to developers to release and promote their apps on the App Store. Apple specifically mentioned "great ways to monetize apps" including in-app purchase, subscriptions, and advertising. For context, Apple announced 10 billion App Store downloads in January 2011; 15 billion downloads in July 2011; and 25 billion downloads in March 2012. It took the App Store 1642 days to go from 0 downloads on July 10, 2008 to 40 billion today, with an average of 24 million downloads per day; however, it took 310 days to go from 25 billion downloads to 40 billion, with an average of 80 million downloads per day in the past 310 days. To give a graphical visualization of the App Store's growth, here's a chart by Horace Dediu showing iTunes total downloads by medium (Horace also notes average revenue per app download is 25c). 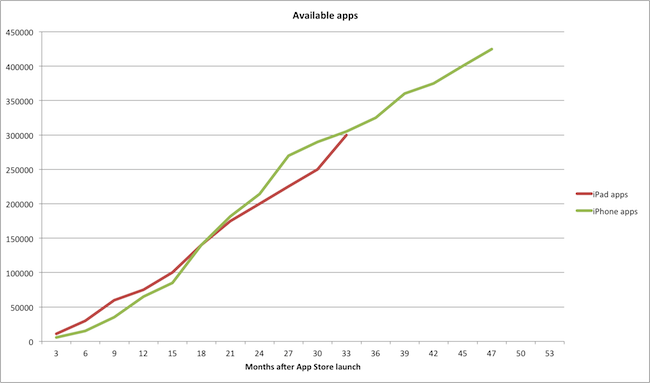 And above, our charts showing the growth of the total number of apps, and the apps availability per platform (iPhone, iPad) months after the App Store's launch, based on Apple's official data (click images for full size). Reuters is reporting that a Californian judge has denied Apple’s attempt to quickly stop Amazon from using the term ‘Appstore’, which they have been using for their Android app download service. Apple had earlier this year filed a trademark lawsuit that claimed Amazon was improperly using the ‘App Store’ name in a way that will “confuse and mislead customers”. Amazon had claimed that the term was generic and therefore not protectable. Whilst the full trial is set to take place in October of next year, this decision was in response to Apple’s request of an injunction against Amazon from using the name. In her decision, U.S. District court Judge Phyllis Hamilton said she did not agree with Amazon’s claim that it was “purely generic” but similarly found that Apple had not established “a likelihood of confusion” required to get an immediate injunction against Amazon’s service. If the injunction had been successful, Amazon would have had to nearly immediately ceased using the name for their service. Neither Apple nor Amazon responded to Reuter’s requests for comment on the news on the injunction. This trial has attracted the attention of other players in the smartphone app market including Microsoft, Nokia and HTC, all of whom have filed complaints against Apple's attempt to file a trademark for the term 'App Store'. Several technology company heavyweights including Microsoft, HTC, Nokia and Sony Ericsson this week filed formal complaints against Apple’s attempt at getting the terms “App Store” and “Appstore” trademarked. In their complaints they formally ask the Community Trade Mark office in Europe for a declaration of invalidity, claiming that the terms are far too generic. Microsoft has also heavily invested in a legal battle started in 2008 when Apple first attempted to trademark the term “App Store” with the US Patent and Trademark Office. That dispute is ongoing and both sides have hired linguists in their legal battle. Amazon.com today responded in court to Apple’s lawsuit over the name of its Android Appstore — calling the iPhone maker’s claim to the “App Store” trademark baseless, and pointing to a statement from Apple CEO Steve Jobs as one piece of evidence in its favor. Amazon's argument is if App Store is specific to Apple, why did Steve Jobs generically refer to the Android Marketplace as an "app store?" The argument is that he voided his own definition of what he considers the App Store to really be. If you ask me, I'd say Apple probably won't secure the App Store branding as it is too generic. You can get away with specifically calling it the iOS App Store, the Mac App Store, and the iTunes Store, but calling it the App Store as one inclusive generic entity is a stretch don't you think? As with everything else, Apple may have been better off appending an "i" in front of the name and calling it day. Amazon's Appstore stands a fair chance of keeping its name, no matter Apple's requests to speed up the process. While I could have jumped on this update as soon as it was announced by the LogMeIn crew, I wanted to go hands on with LogMeIn Ignition's new features before passing final judgement of whether the new file sharing capabilities are simply cool or deservedly awesome. Using LogMeIn's free client, all of your computers are accessible to your iPad and iPhone by simply logging in with your username and (strong) password. Similar to how you navigate between open pages in Safari, you can navigate between File Managers on different computers in LogMeIn Ignition to copy & move files between computers, to your iPad, or from your iPad. It works extremely well, and I was able to move files between two Windows boxes and my iPad while tethered to a 3G enabled device. You can open a variety of file types in LogMeIn (I tested .PDF, .TXT, and .RTF files), and once those files are on your iPad you can choose to open files in other applications if permitted (GoodReader is handy to have around for this). Even if LogMeIn Ignition can't open the file, you should still be able to move and copy files between computers. 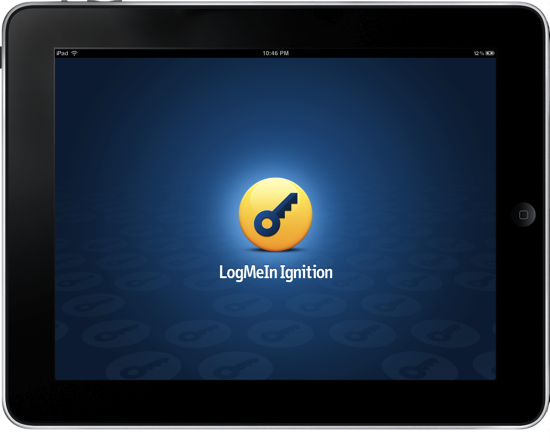 Interestingly, you don't even have to copy files to your iPad to open them - LogMeIn Ignition temporarily caches the file and enables you to keep the cache or discard it as needed. You'll have to get used to navigating LogMeIn Ignitions's File Manager, as tapping on folders highlights the folder for copying & moving while tapping on its blue arrow will reveal its contents. I think LogMeIn Ignition will refuse to copy certain folders based on size (if the total contents won't fit on your iPad) or type (I couldn't copy the entire C:\ to my iPad for example). Otherwise, navigating and using the available tools to manage your files was straightforward. Courier is a smashing Mac app to have if you're uploading files to Flickr, Youtube, or MobileMe, and some big changes have come along recently to those begging for Facebook support. With the latest update to version 1.1.2, Courier is bringing the ability to upload pictures to your Facebook Pages, and video to your Facebook accounts. With a simple drag and drop after adding your Facebook account, you can deliver files over the Internet in style. Right from the envelope's stamp, you can easily select which album you'd like to upload photos to, then drag in a bundle of photos right before delivering them straight to your Facebook profile. Courier keeps getting better and better, and it was the first app I purchased on the Mac App Store. For $9.99, Courier is a beautiful app that allows you upload media to your favorite websites. To celebrate the latest inclusion for Facebook albums and video, we're giving away three copies -- just follow the rules below for your chance to win. 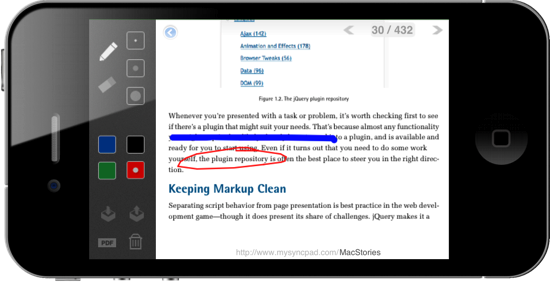 Just like iPad version we reviewed back in January, SyncPad brings the collaborative whiteboard to your pocket with a spiffy iPhone version that includes recently added Dropbox support. If you're not familiar with SyncPad, you can mark images and PDFs over the web by simply creating a free private room where you can upload your presentation materials from your library, or from Dropbox. You can also save the final results of your presentation as an e-mail attachment, or upload it to any folder of your choice in Dropbox (no default folders here). You're given a variety of highlighters to work with from blue, red, green, and black which can be resized and erased as you dot about striking through lines of text or drawing silly images. It's $4.99 in the App Store, and don't forget to have your constituents download the free reader for viewing your presentations on the iPad. Instagram photos are uniquely genuine to the photographer, often showcasing beautiful sceneries, elegant dishes, and perhaps a kitten or two. Unlike a DSLR where you prepare and tailor each scene, Instagram focuses on the now, capturing life as it happens in the moment. While I don't have an iPhone to share experiences of my own, I can enjoy what friends and Twitter associates post from the couch cushion. 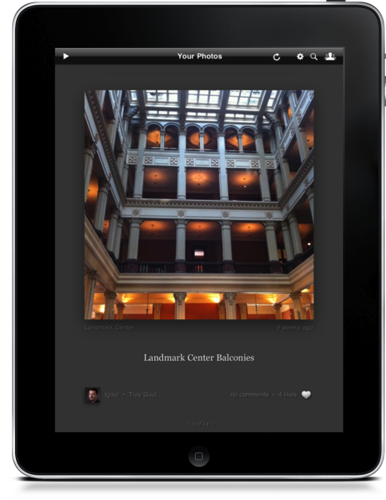 Instagallery brings Instagram to the iPad display, allowing you to browse through popular photos, view pictures taken at the same geo-location where you took your photo, view photos as a slideshow, and like or comment on inspiring shots all in one place. Instagallery is available for $1.99 in the App Store.